Jerry Brown on Thursday criticized the Trump administration’s plans to exit an arms treaty with Russia and called out “bipartisan blindness” toward global nuclear threats after he was named executive chairman of the organization that sets the “Doomsday Clock” measuring threats to humanity. “When humankind has in its hands the technology to absolutely destroy all of civilization there is nothing so important it ought to prevent dialogue and deep discussion,” Brown said in an interview with The Associated Press. 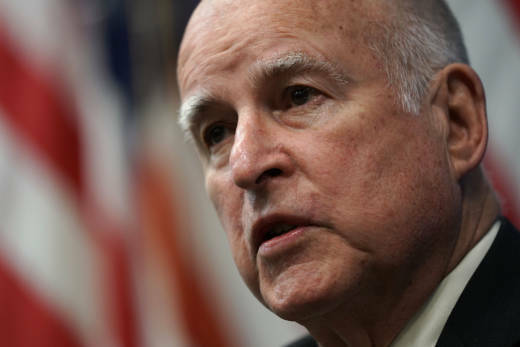 Brown’s new role with the Bulletin of the Atomic Scientists will ensure he stays relevant on the global topics he cares most about when he leaves office in January after two separate stints as California governor starting in the 1970s. The Chicago-based Bulletin was founded in 1945 after the creation of the atomic bomb and in the decades since has expanded its mission to a broader discussion of threats to human survival, including climate change, one of Brown’s signature issues. “I’m not here to represent the U.S. government, that’s the president’s job, but I am as a citizen of the country, of California, of the world, concerned that these very powerful technologies are not being managed with wisdom,” he said. “We still ought to realize that ending civilization is a bigger problem than any of the other problems we have with Russia,” he said. As executive chairman of the Bulletin, Brown will preside over the group’s three boards — a governing board, a science and security board and an editorial board. It’s a new role created just for Brown, and he’ll focus on generating global urgency around nuclear and other threats. Brown’s interest in the topic harkens back to the 1970s and 1980s when he was running for president. “We really see him as a global ambassador for the issues that we work on — manmade existential threats, nuclear, climate, disruptive technology,” said Rachel Bronson, the group’s president and chief executive. This story and headline have been corrected to show Brown is joining the organization, not leading it.